Suzuki has come to Singapore! What really is the Suzuki Method? Plus my upcoming YouTube videos teaching Suzuki Volume 1. …the Suzuki Talent Education Association (STEAS) arrived in 2014 actually…! Sponsored by my friends at Synwin Music, Today I participated at a Teacher’s workshop on the Suzuki Values & Teaching Method and to bring awareness to STEAS. Guest Speaker Mr Martin Rüttimann flew in to give us the insights of Dr Suzuki’s violin Methodology and why it works particularly well for young learners. 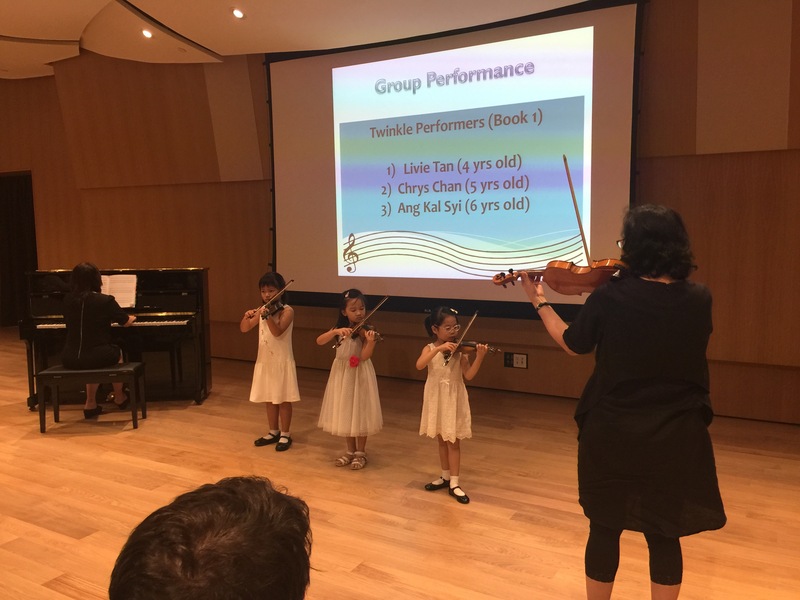 There were also some young performers who gave us a demonstration of the Suzuki Method in action. There will be two different training workshops for piano and violin coming up this year for teachers. If you would like to join do contact the Suzuki Talent Education Association Association Singapore. The dates of the piano teachers’ training is on an earlier date while the violin course is planned at the end of May. Do contact them directly at the STEAS website for more information. To join this workshop you need to be a member of the Association and also need to send in an audition demo of yourself at the highest proficient level: choose and play a level you are at from book 4 to 10, hence book 4 is at its lowest entry level in order to be qualified to be trained for Book 1 at the workshop in May 2017. (If you send in a level at book 10 Mozart’s Violin Concerto in D major this would just mean you will not need to send in any more auditions for the training for book 1 through to 10. ) note that it is required to be trained from Book 1 and the workshop training sessions are approximately 35 to 42 hours to cover each volume. Believes that learning music is like learning a mother tongue language where a young child would be able to learn music and an instrument just like learning their own native language. The Suzuki Method strives to teach a musical instrument (piano, violin, guitar, viola, cello, flute etc.) this way. Usage of familiar songs in first books to keep the students and child interested in learning as this would be easy to train the ear as well as play from memory which is a compulsory component. No particular written technical method reduced into writing (except Dr Suzuki’s concept of Tonalization) as compared to the French or Russian schools of learning but the musical abilities and techniques are passed down from teacher to teacher, thus the need for the Associations for training teachers to be “Suzuki ready”. Method encourages a Child, Teacher and Parent triangle where the Parent plays a vital role as much as the Teacher and Child in the Learning Process. Lots of group playing in unison are encouraged as one of the key visions of Suzuki is that the child is nurtured into a not being competitive but to having a communal spirit. A large range of repertoire focusing on early classical and baroque pieces (my observation of the Violin Method) and an absence of the traditional Etudes like Wolfhart, Kayser, Dancla, Dont, Gavinies, Kreutzer etc. no Romantic period concertos but ends at Mozart Violin Concerto. The idea is that afterwhich, teachers would progress to teaching the Bruch and Mendelssohn Concertos. Usage of Solfege instead of note reading initially for ear training as well as easy pick up for even toddlers which is why more students can pick up the violin with scaled down instruments at an early age. For more of the Suzuki Method and how it is taught, it is best to join one of the teachers training courses available in your region worldwide to have the know how to teach and understand this concept better. The Suzuki repertoire is a popular choice for teachers and students and almost a staple for Beginner’s repertoire as they are really catchy tunes and the songs have been reduced in a way that intial bowing methods for the violin and certain technique can be taught easily. I personally do use the first Volume for a typical beginner for the same reasons but I perhaps teach it in a very different way from a typical Suzuki teacher would (unfortunately out of group lessons or the occasional special concert arrangement, I do not have students playing in unison) and I would graduate much sooner (at about song no.10 this also depends on the aptitude of the student) to a wider range of classical genre and Etudes to explore more aspects of violin technique appropriate for a beginner. 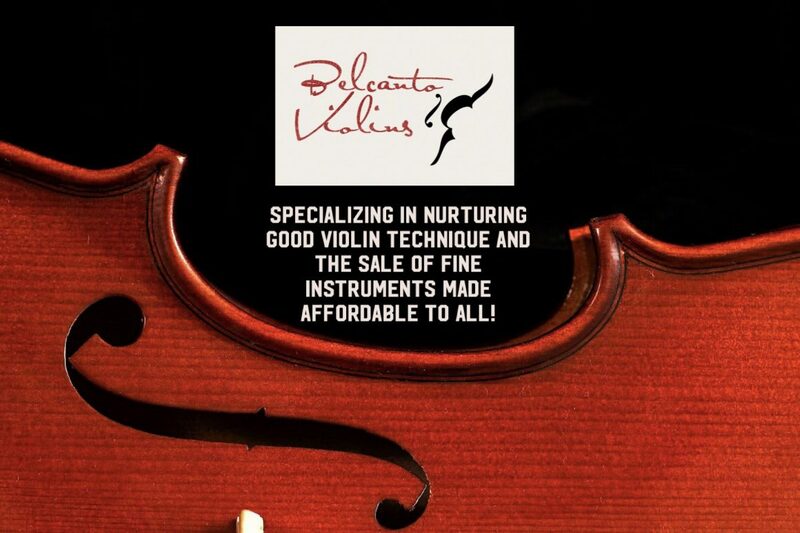 The focus would be more on grasping the correct posture, basic music theory concepts and learning completely the permutations of the first position of the violin as an initial hurdle. For e.g. Oskar Rieding’s violin concerto in B minor which pretty much covers the first position (though it can be played in higher positions) would be taught and is a catchy and exciting tune as well! I like to start with the Rieding piece as it offers a glimpse of the many solo violin repertoires to come with great concertos written in D major/Bminor. After which grasping the entirety of the first position, more keys and the second position will be introduced before the third, vibrato and shifting. This would be a contrast to the Suzuki repertoire where they go straight to the Vivaldi pieces at the intermediate level and into the third position straightaway. Apart from daily left and right hand exercises, I would also add in Etudes by Kayser, Wolfhart and Dancla and a series scales and arpeggios to learn the different keys in the first then second position, then third…I do agree that parents have to be in the class for any child under the age of 7 years old and are as important in the learning process as the child or teacher is. Which is the same triangle concept that Suzuki has. My first YouTube videos are planned and will be based on Suzuki Violin Method Volume 1. (Do stay tuned!) and I will not be teaching the Suzuki Method per se. But a method I have developed over the years of teaching and learning which can be used and applied to any repertoire (even etudes and scales or any other training syllabus.) I do follow through with some of the selected songs in Suzuki in the later books but will not typically follow through the repertoire to Volume 10. The students that I am featuring in the content of the videos are real life examples of my teaching method, like in the first video for “Twinkle Twinkle Little Star”, the student featured there has only had a handful of lessons and the video recorded of her shows her true progress at that particular stage of learning.